Mark your calendars for Friday, February 22nd and plan to attend family Movie Night. Bring the whole family for an evening of fun and fellowship. We will watch the movie War Room, and all of your favorite movie food and snacks will be available. 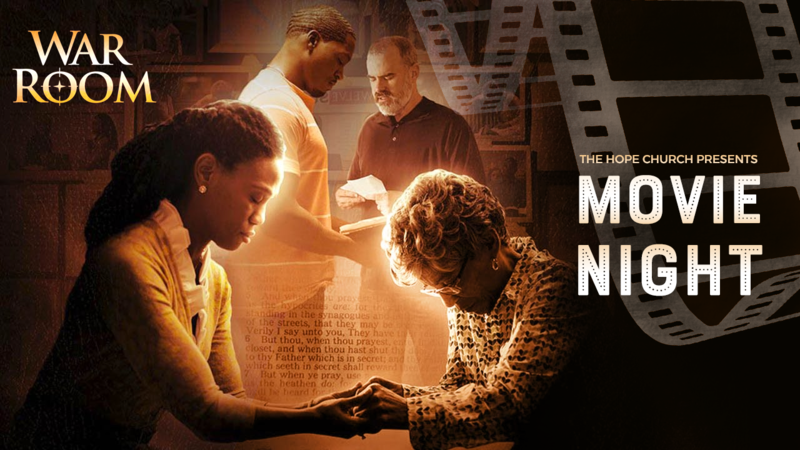 Register for your free tickets at hopemovienight.eventbrite.com.